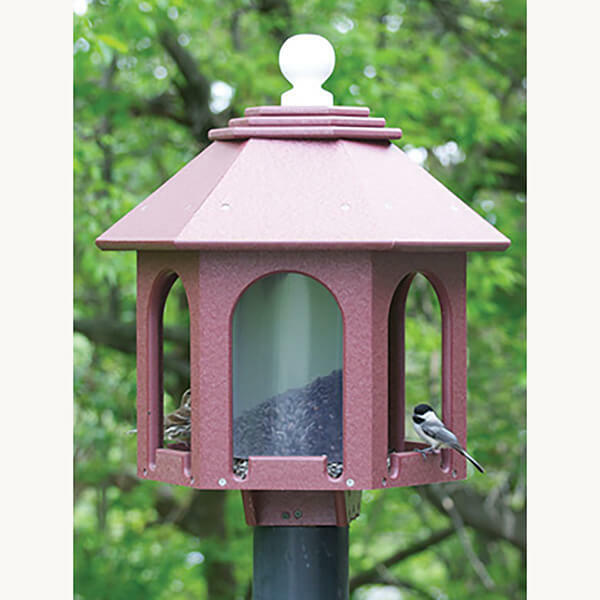 This Deluxe Seed Feeder is made from poly wood with stainless steel screws. Holds approximately 7 pounds of seed. Designed to be placed on your own post. The top lifts off for easy filling. 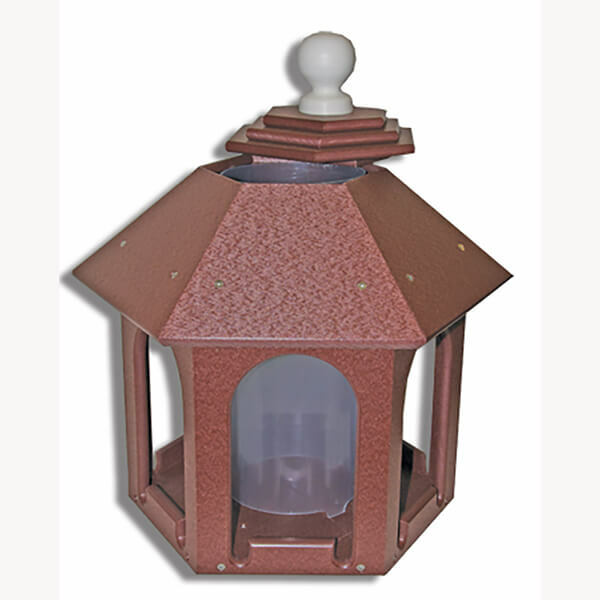 A beautiful addition to any backyard. Seed and post not included.